Karen Rips, my collaborating partner will be attending the artist reception March 12th, 5-7. Our show will continue through April 25th. 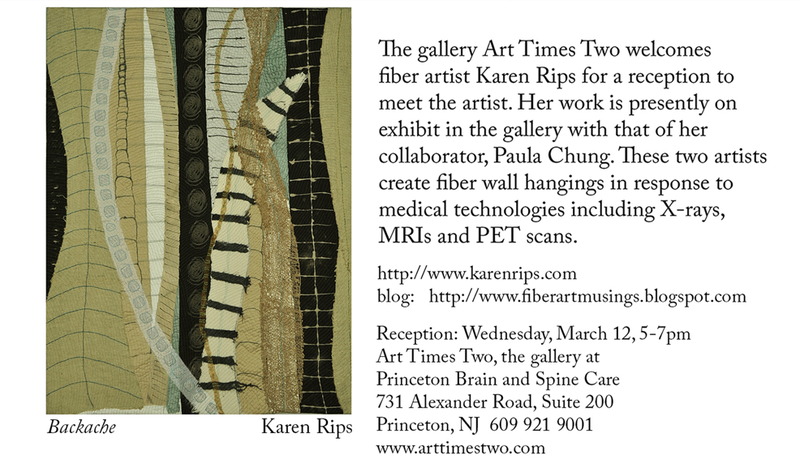 Hope you can get to Princeton's Brain & Spine Care Center to meet Karen and see our work.